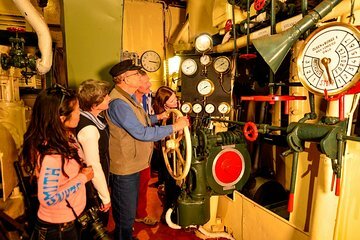 Visit Albany's Historic Whaling Station to learn about a piece of Australian history through activities, short films, and other exhibits. You can take one of the 40-minute guided tours, if you wish, or follow trails that tell stories of the whaling industry. Stand inside converted whale-oil tanks, marvel at the skeleton of a blue whale, see marine animal art, and climb aboard the Cheynes IV ship.